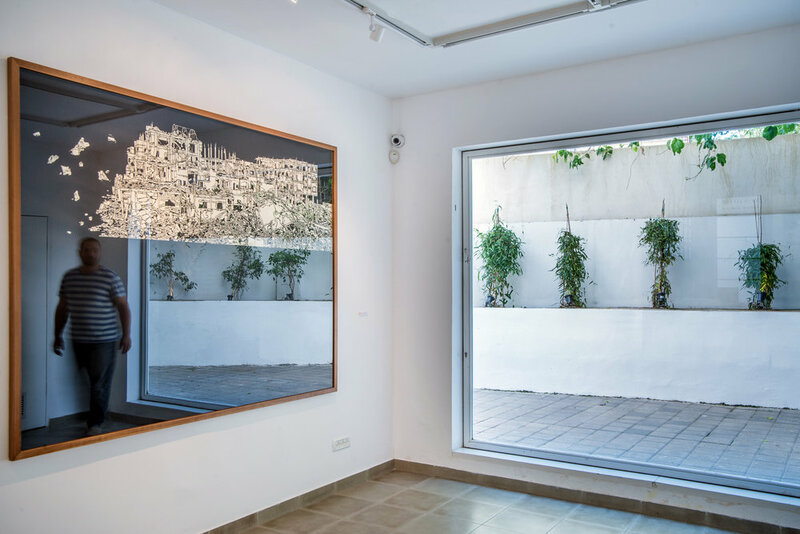 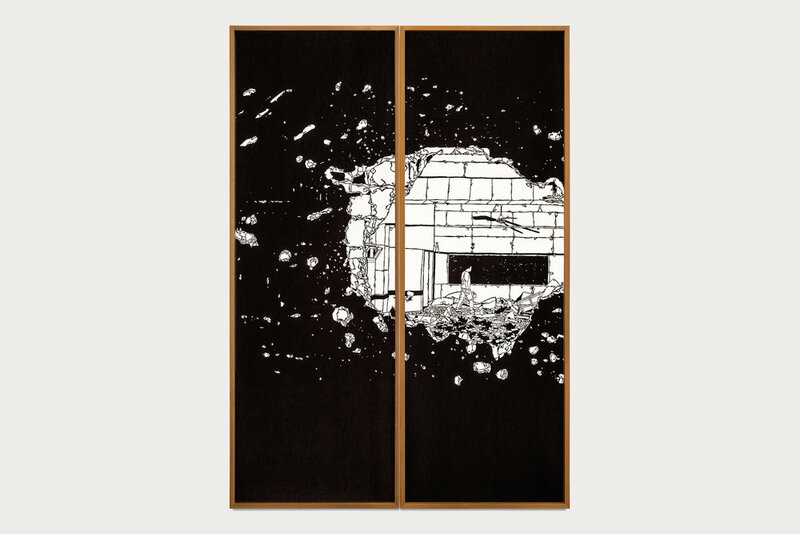 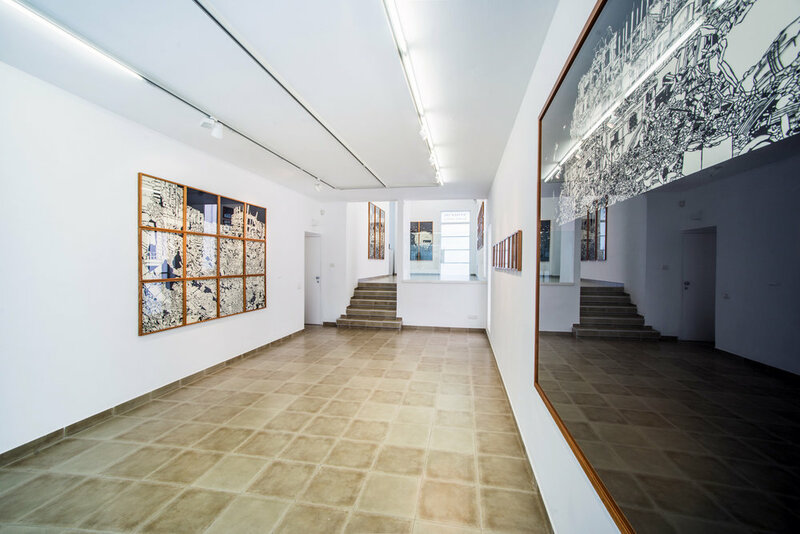 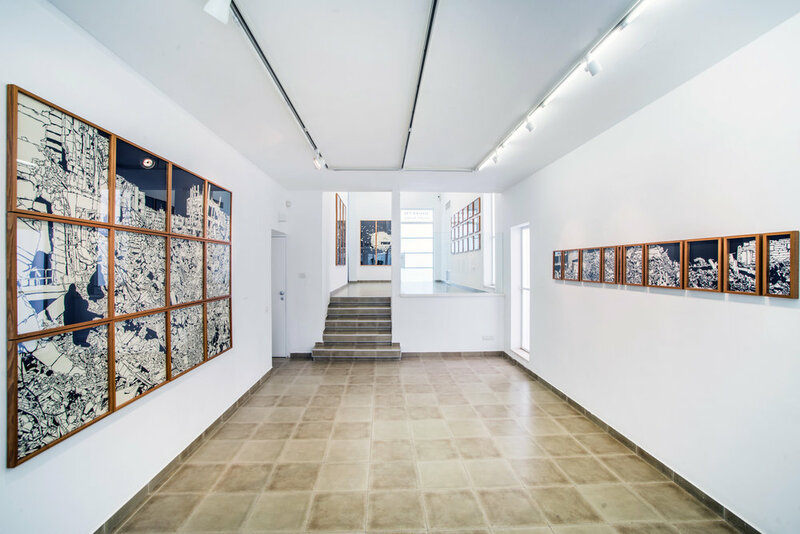 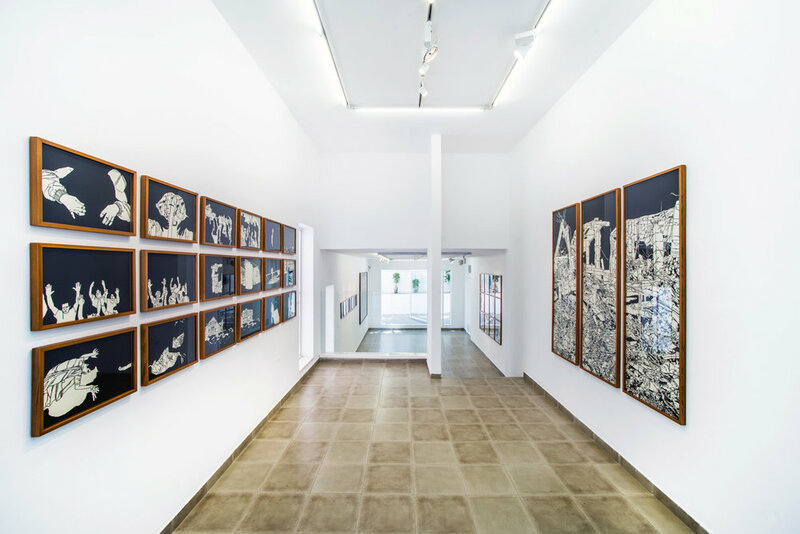 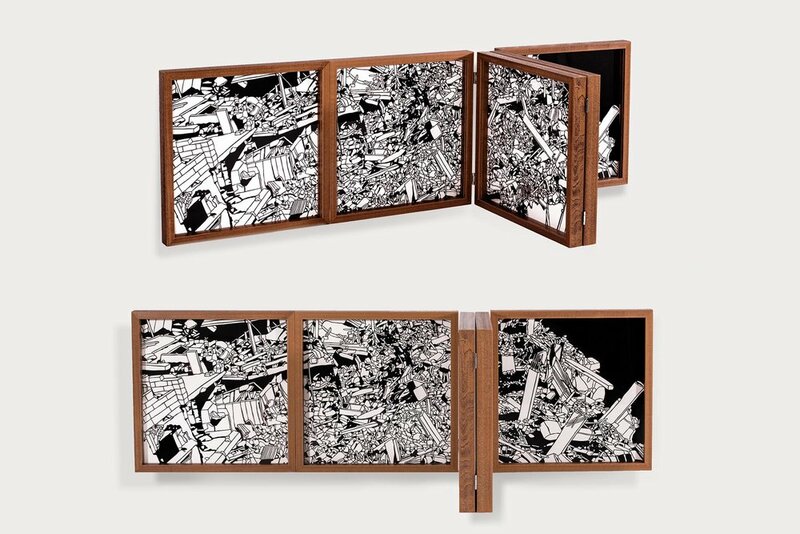 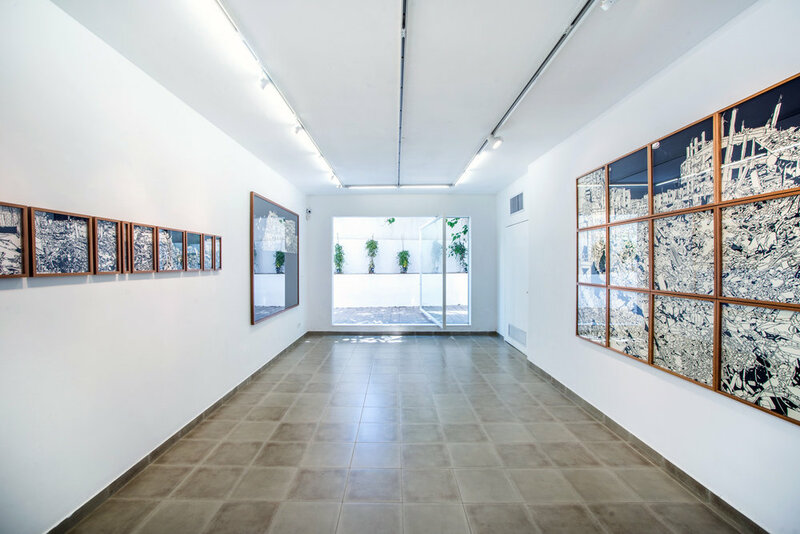 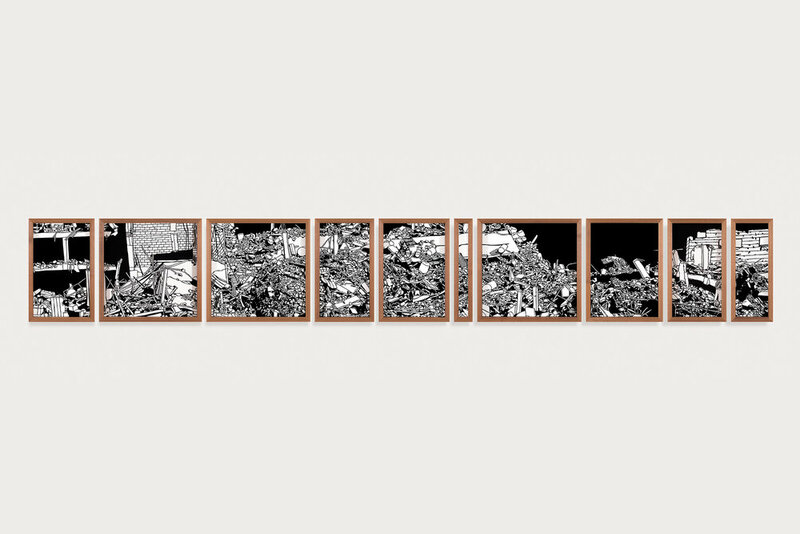 While They Were Moving, They Were Moved (Based on a True Story) is the title of a 2015 exhibition and artist book by Noa Yekutieli that incorporates transparent photographs of nature, homes, and natural disasters with the artist’s black and white mosaics of human struggle. 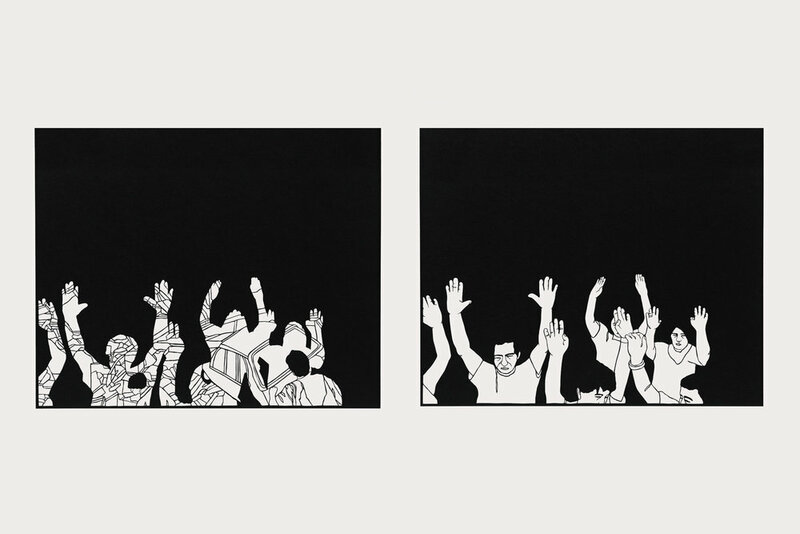 Rendering scenes of collective strife, the black paper reveals subjects through cut negative space and gaps. 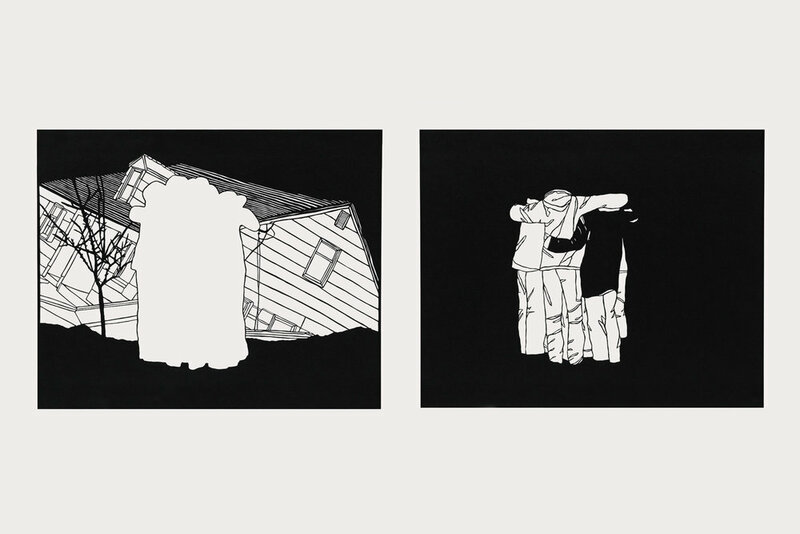 Photographs collected from around the world are then layered over the paper-cut scenes conflating space and time, universalizing moments of empathy and intimacy. 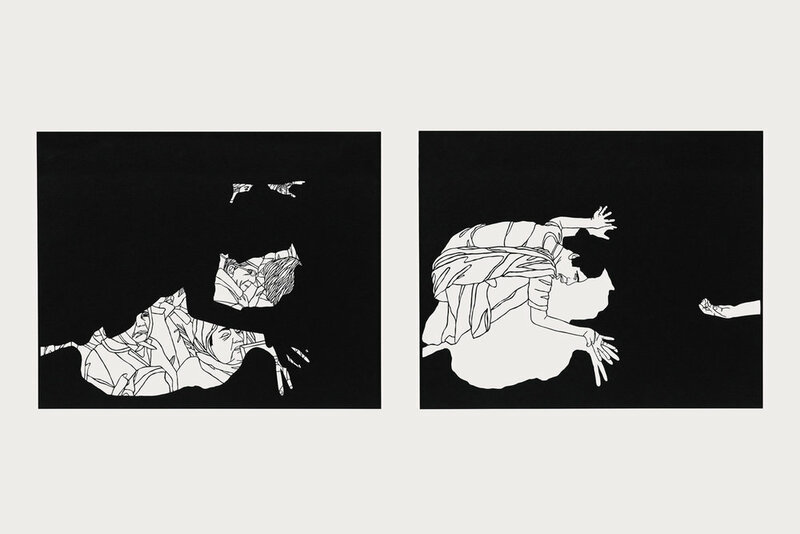 In flipping the pages, the viewer is able to manually deconstruct and reconstruct the layers of images. 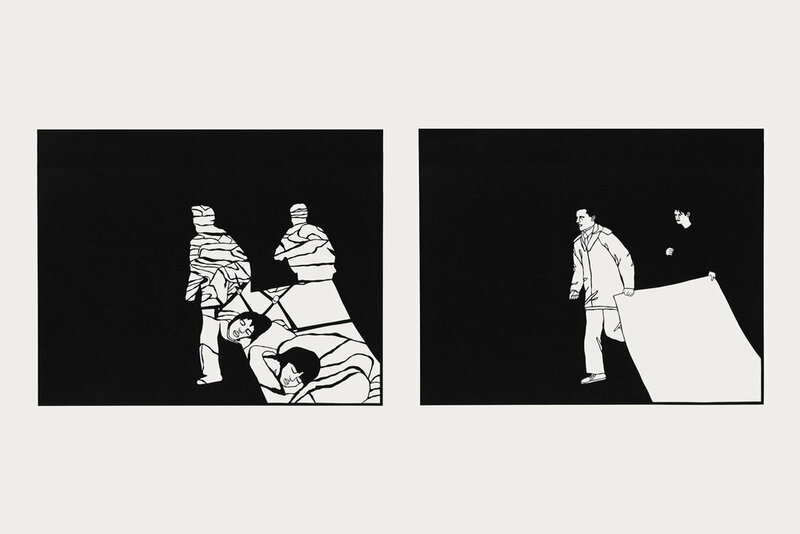 Throughout the book, a white mountain rises through the darkness as pages turn, eventually filling the entire space white, on a journey from void to void. 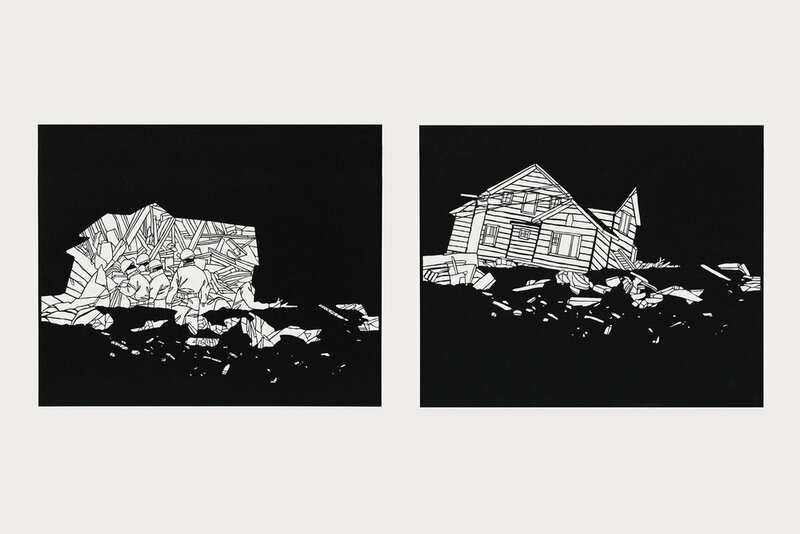 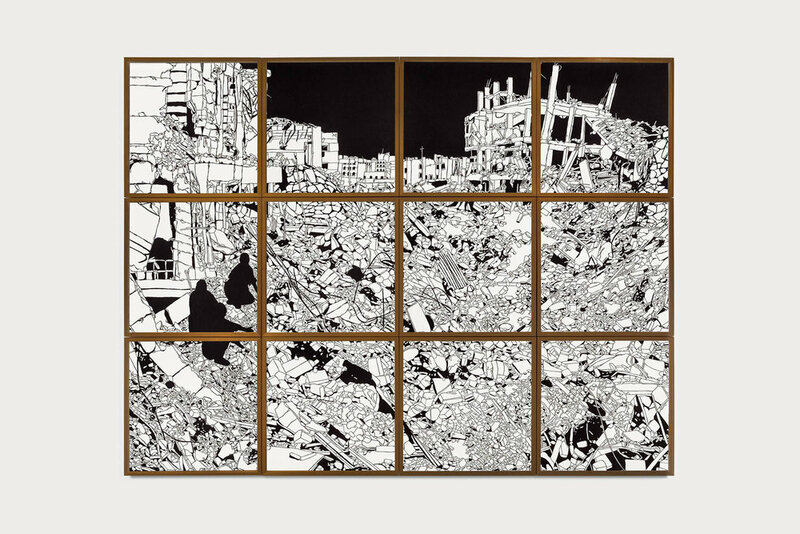 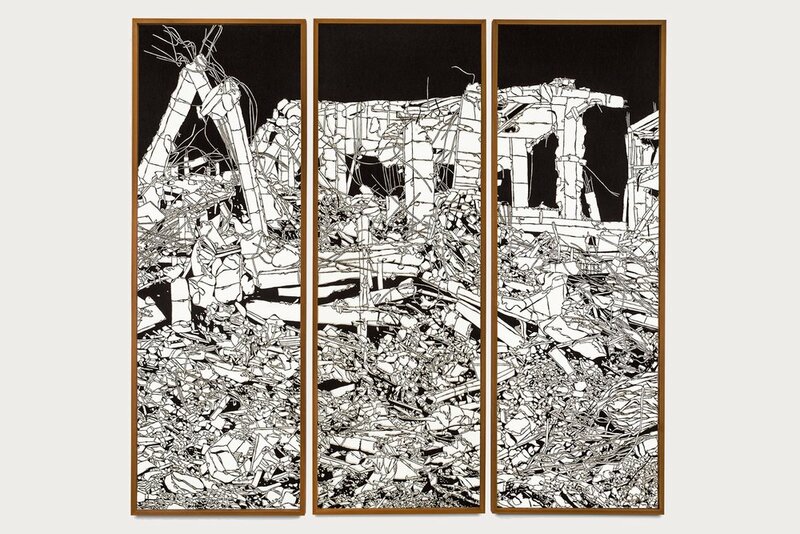 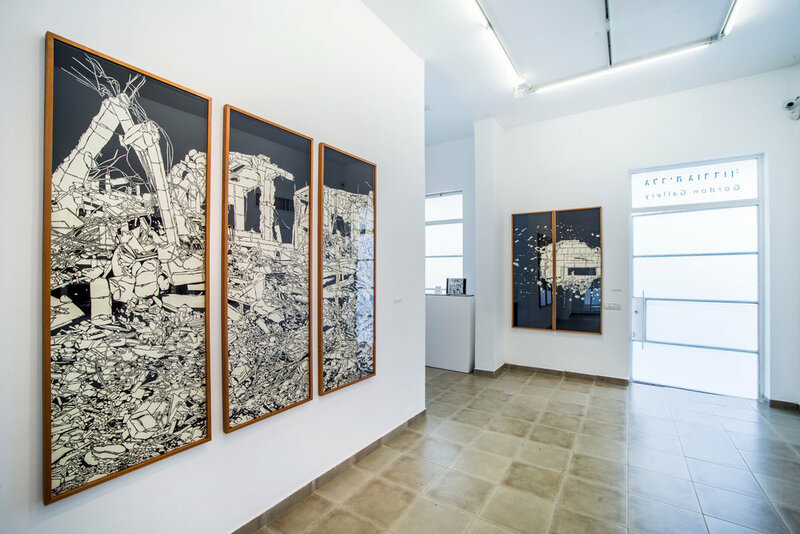 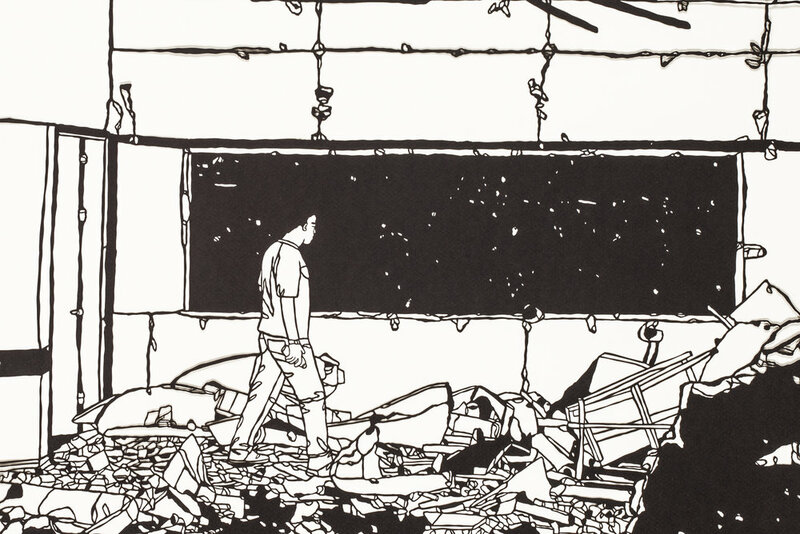 Continuing an on-going exploration of man-made and natural disasters, the artist uses her paper cutting technique as a metaphor for fragility and permanence while the pattern of black and white rubble resembles the pattern on a classic “composition notebook”. 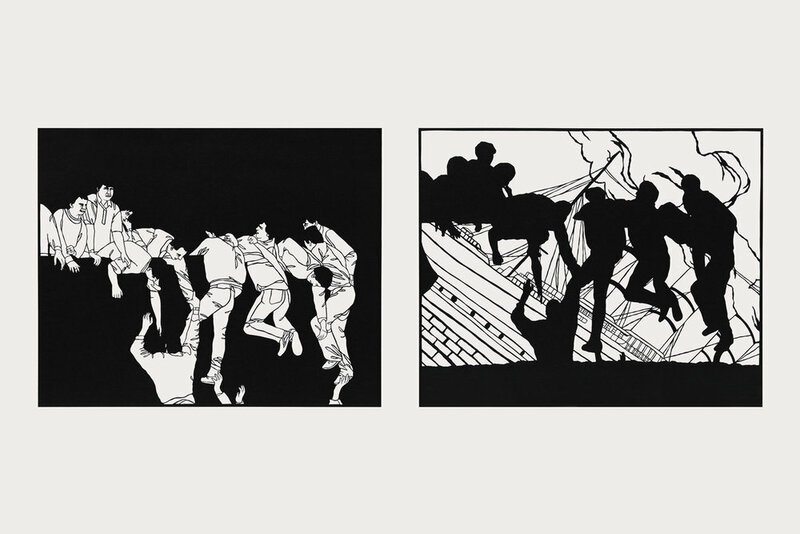 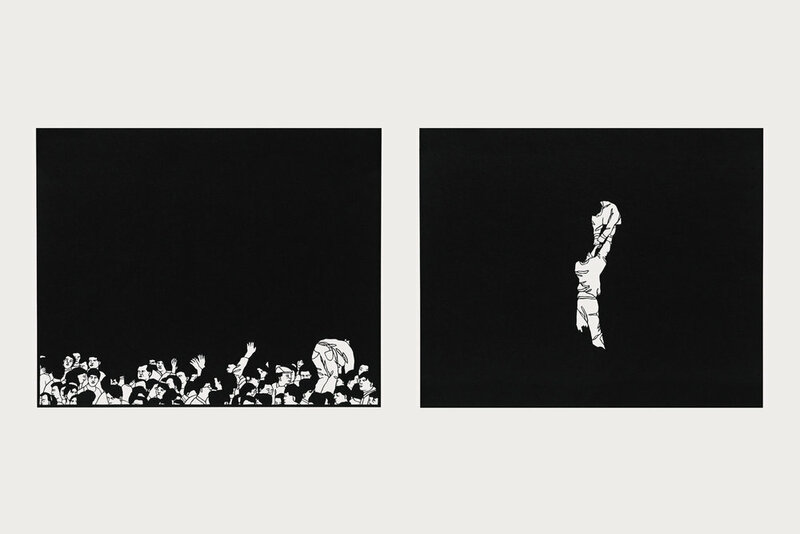 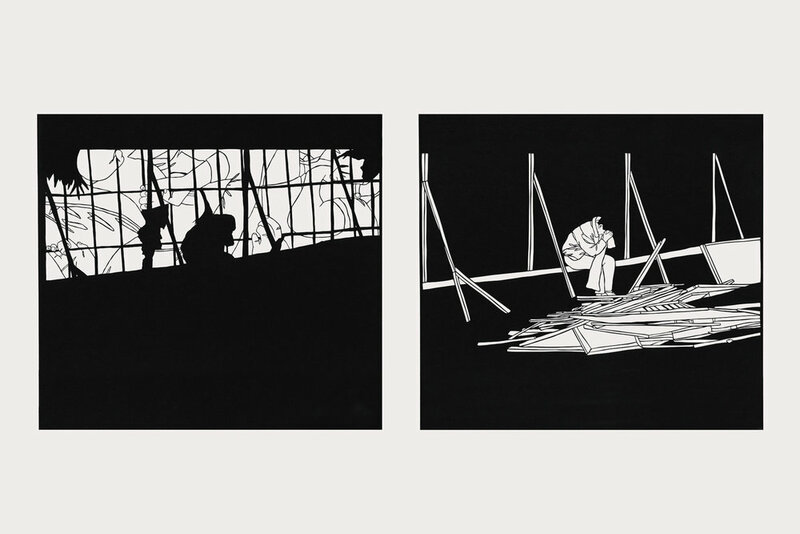 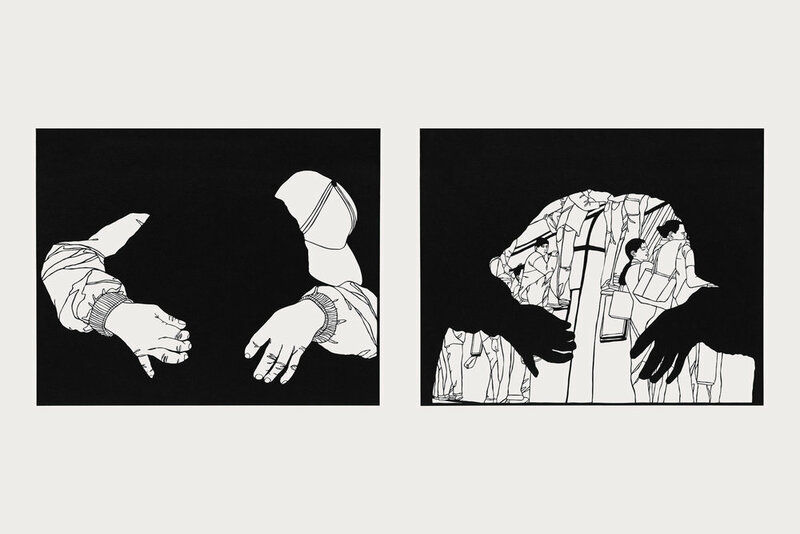 Throughout the publication and in the two works on display, the silhouette of one image is often “burned into” the next page’s memory as the perimeters of one shape become the vessel for another scene. 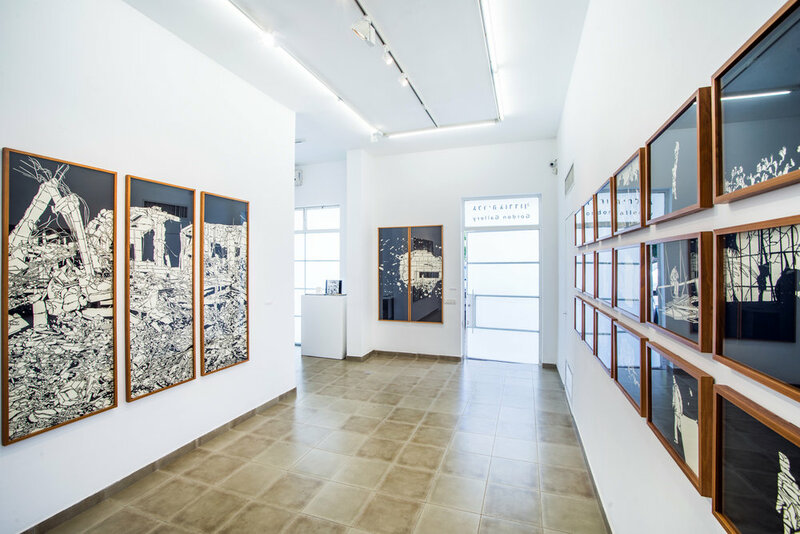 Yekutieli’s series of combined images raises questions around who we view as the other, how we collectively define truth, and what brings people together.